The Tophat Wooden Arrow Thread Tap is especially for wooden shafts with high spine values or hardwoods. 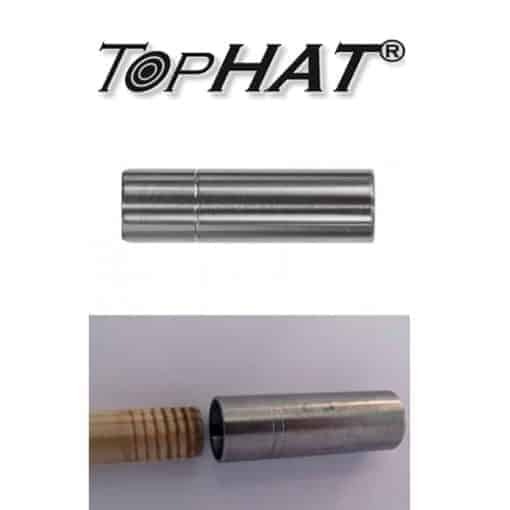 Supports the optimum function of TopHat threaded arrow points. Very interesting for new archers who are unfamiliar with TopHat threaded points. Also interesting for archers wishing to prepare their arrows for the TopHat system with minimum effort. Excellent results especially with hard surfaces like bamboo. When used with hard surfaces it is helpful to put a few drops of oil (lubricant) on the shaft. Works perfectly in combination with the decent TopHat assembly tool for arrow making. someone from Sidcup & 9 others bought this item recently.